Scientists have managed to grow 'perfect' human blood vessels in the lab for the first time, daily mail reported. The breakthrough could have a dramatic effect on research into a host of vascular problems, including diabetes. It will allow researchers to study and test new drugs far more easily. 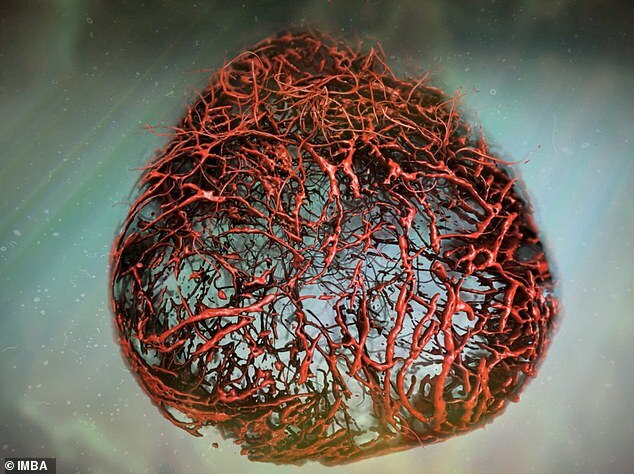 'Being able to build human blood vessels as organoids from stem cells is a game changer,' said the study's senior author Josef Penninger, director of the Life Sciences Institute at the University of British Columbia. 'Every single organ in our body is linked with the circulatory system. Penninger and his colleagues developed a method to grow three-dimensional human blood vessel 'organoids' grown in a petri dish. These so-called 'vascular organoids' can be cultivated using stem cells in the lab, strikingly mimicking the structure and function of real human blood vessels. The discovery illustrates that it is possible to not only engineer blood vessel organoids from human stem cells in a dish, but also to grow a functional human vascular system in another species. The breakthrough technology, revealed in the journal Natural, also revealed a new pathway to potentially prevent changes to blood vessels—a major cause of death and morbidity among those with diabetes. The researchers exposed their blood vessel organoids to a 'diabetic' environment in a petri dish. 'Surprisingly, we could observe a massive expansion of the basement membrane in the vascular organoids,' said Wimmer. 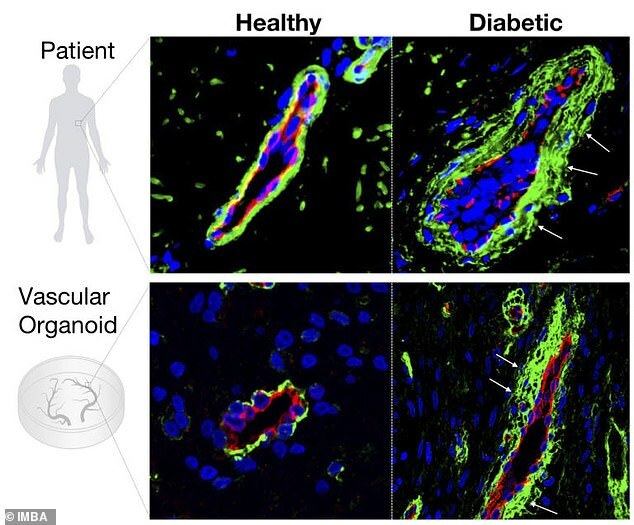 They found none of the current anti-diabetic medications had any positive effects on these blood vessel defects. However, they discovered that an inhibitor of γ-secretase, a type of enzyme in the body, prevented the thickening of the blood vessel walls, suggesting it could be helpful in treating diabetes. 'What is so exciting about our work is that we were successful in making real human blood vessels out of stem cells,' said Reiner Wimmer, the study's first author and a postdoctoral research fellow at IMBA. Diabetes affects an estimated 420 million people worldwide. Many diabetic symptoms are the result of changes in blood vessels that result in impaired blood circulation and oxygen supply of tissues. Despite its prevalence, very little is known about the vascular changes arising from diabetes. One feature of diabetes is that blood vessels show an abnormal thickening of the basement membrane. As a result, the delivery of oxygen and nutrients to cells and tissues is strongly impaired, causing a multitude of health problems, such as kidney failure, heart attacks, strokes, blindness and peripheral artery disease, leading to amputations.